Rockstar Games will be implementing a myriad of changes to the Red Dead Online beta in the latest update. You can look forward to a slew of different improvements, including changes to player visibility, bounties, and daily challenges. Some of them might make it easier to survive, as one will help you pick up on potential enemies! All of this and more will be found when the update rolls around on February 26, 2019. There have already been some important changes made with the past updates. It seems that Rockstar will continue their commitment to make their game the best it can be. Firstly, there will be changes to how player visibility will work. Based on feedback from the community, Rockstar will be reducing the visibility of blips over long distances in order to minimize destructive player behavior. Your position won’t be displayed to other players unless you’re within 150 meters of them. With that, aggressive players will also be more visible and will show up on the mini-map as a dot that progressively turns from blue to dark red. The dot’s color will change depending on how frequently you perform bad deeds, such as attacking and killing other unprovoked players. 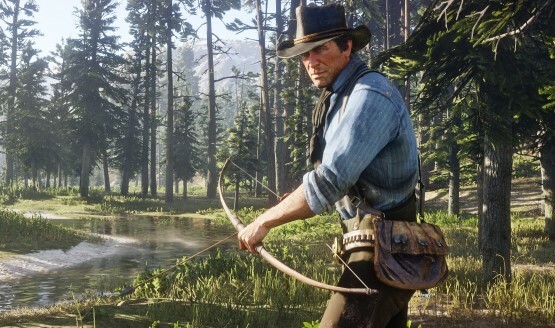 Aside from player visibility, Rockstar will also be introducing Posse-wide Parleys and improving Feuds. You’ll be able to initiate a Parley that applies to an enemy’s entire Posse, instead of just one person. You will also be able to challenge an opponent to a Posse Feud or Leader Feud that will result in a bite-sized deathmatch. You’ll find changes to the way bounties work. Most notably, you’ll see the implantation of NPC bounty hunters who will attempt to take you out if you’ve racked up a high bounty. You bounty will be determined by the crime, so if you murder other players, you’ll be worth a lot more than if you simply loot someone or cause a disturbance. The update will add a variety of Daily Challenges, too, which will allow you to complete objectives that will reward you with XP or gold. They can be as simple as selling items, hunting animals, winning Feuds, or even clearing hideouts of enemies. Rockstar has noted that these challenges will continue to evolve over time. Those are some of the things Rockstar has planned for the update on February 26th. The company will have more details pertaining to the update next week. Are you still playing Red Dead Redemption 2? Let us know if you’ll be jumping back into Red Dead Online when this update goes live.